1998 Featherlite 44’ 3 car all aluminum trailer in excellent shape. I have had a number of these 3 car aluminum trailers and this is by far the best one that I have had. It has dual tandem axles, 2 huge storage compartments, new tires, chrome wheels, I have a pair of 10’ heavy duty aluminum ramps that I will sell for another $500 if the buyer wants them. They will allow you to load the lowest of low cars. 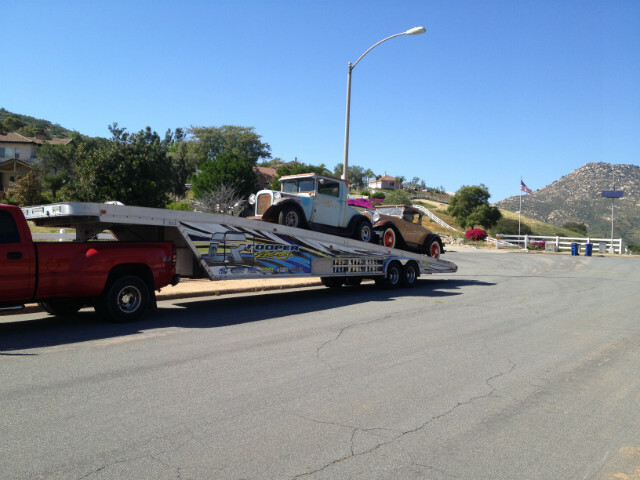 I bought this trailer in California and towed it back with 2 cars on it and got 12 mpg. It is ready to go to work and priced to sell. If you ever have an aluminum car trailer, you will never go back to a steel trailer.